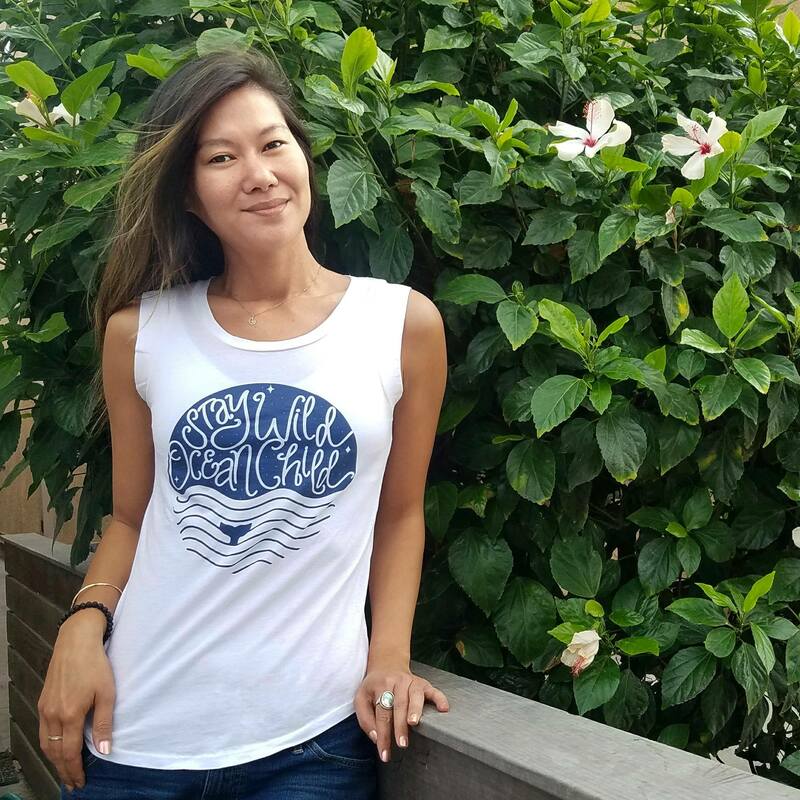 Taiji, 12/7/17: In many parts of the world on such a beautiful day, wild dolphins would be thriving in calm waters. However, for those dolphins who may migrate past the coast of Taiji, Japan, a day like this can be lethal. Today, unfortunately was one of those days with the first slaughter of striped dolphins for the 2017/18 season. 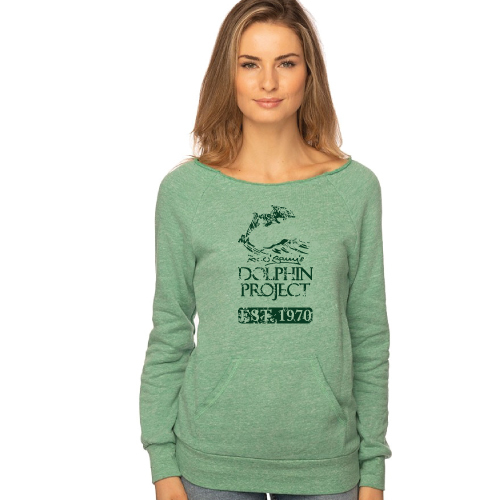 As Dolphin Project Cove Monitors searched the horizon – as we do every morning after the banger boats leave the harbor – we suddenly saw the familiar black smoke billowing in the distance. And for 90 minutes, the boats responsible for this ominous smoke drove an unsuspecting pod of dolphins closer and closer to the cove. 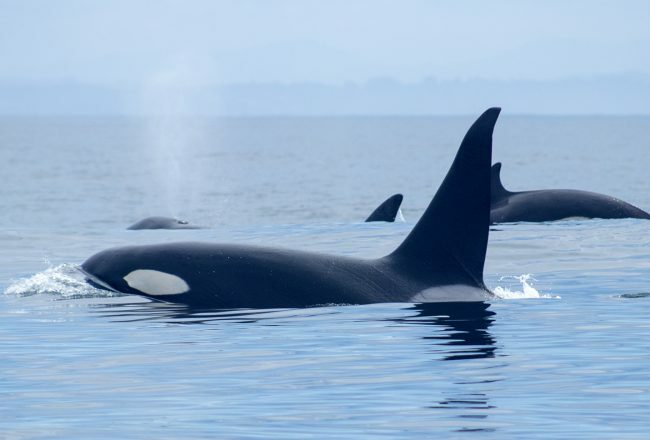 The mammals fought hard, and a large portion of the pod swam towards the open ocean, unbeknown to the hunters. 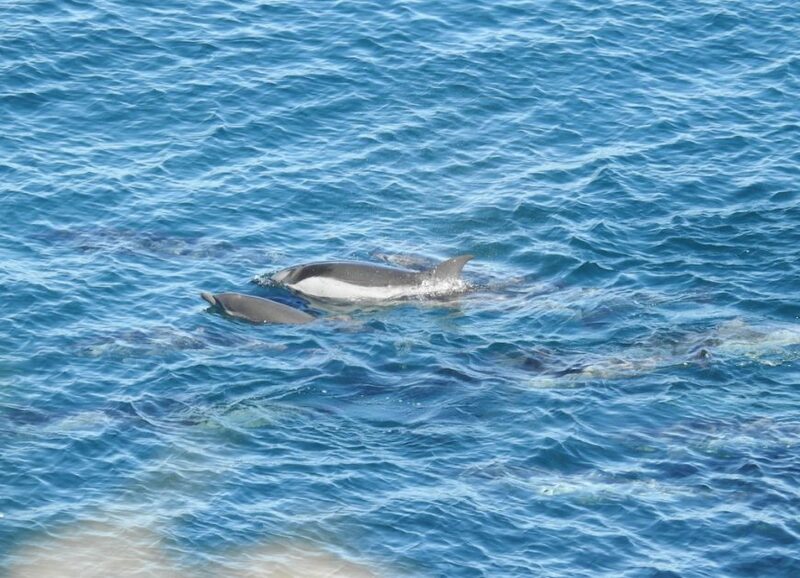 Sadly, many weren’t so lucky, and by the two-hour mark, a pod of striped dolphins had been netted into the cove. The hunters were relentless – behind on their quotas, we could sense their frustration. 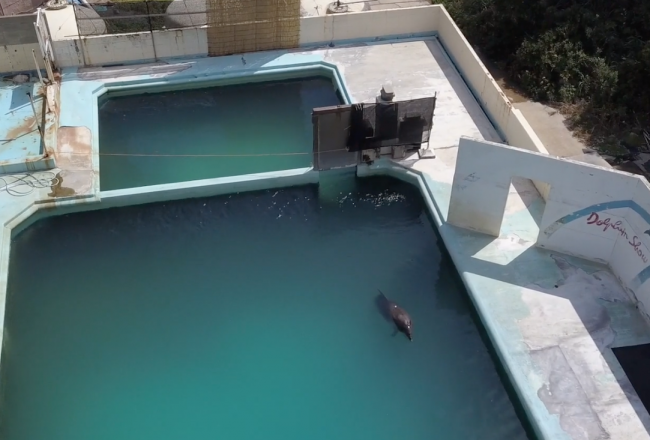 And when they took longer than normal to deploy the first nets, resulting in some dolphins attempting an escape, they ramped up their aggression to ensure the terrorized dolphins remained in their control. Quickly, the exhausted dolphins were driven underneath the tarps. And then the sounds of thrashing began. 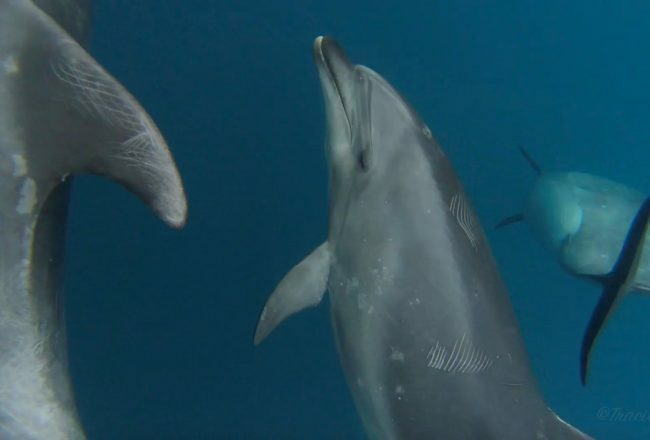 Some dolphins became frantic as their family members were being slaughtered, getting tangled in nets and losing their lives from lack of oxygen and/or injuries sustained during the hunt. We documented one dolphin bobbing in a pool of blood as it thrashed against the side of a skiff. 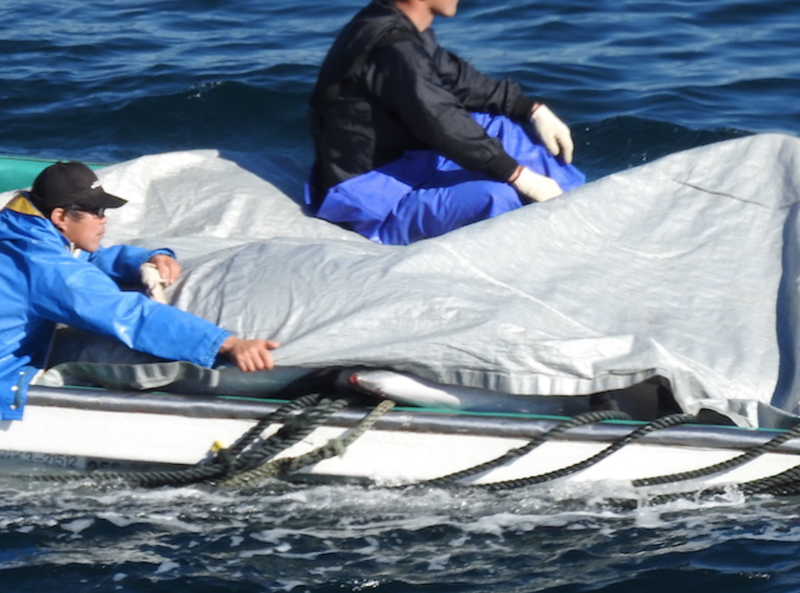 Divers roughly pushed the dolphin away by its rostrum, only to pull it towards the tarps for slaughter. 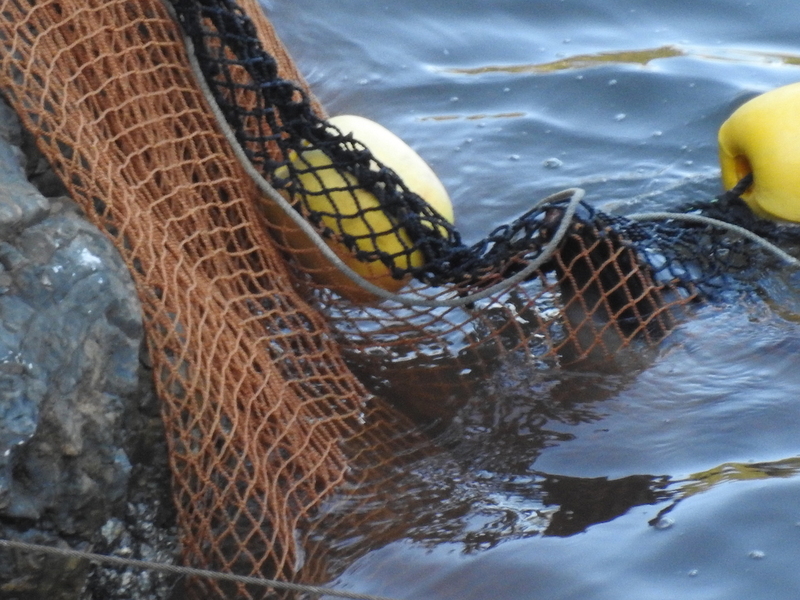 Another dolphin was stuck in the nets, disappearing under the surface a few moments later. Blood began to seep out from underneath the tarps, turning the water a murky brown. The loud, panicked thrashing continued, until silence eventually settled over the cove. Soon after, three skiffs emerged filled with bodies. 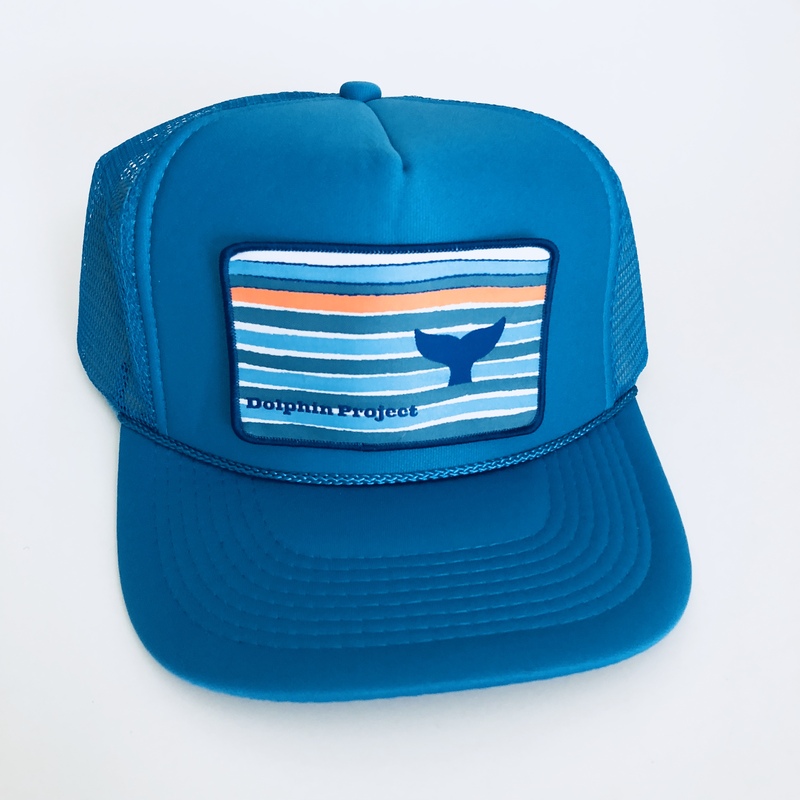 We could see some of the dolphins’ faces that hunters failed to cover. The hunters’ job was done with 30 dolphins killed in the cove today. Once wild and free, now on their way to the butcher’s house to be reduced to slabs of meat. Together, we MUST be a voice for the voiceless!